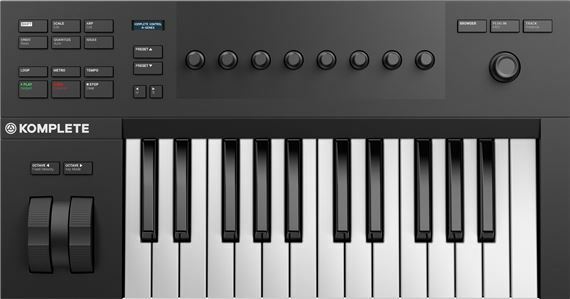 Order your Native Instruments Komplete Kontrol A25 Controller Keyboard from AMS and enjoy 0% Interest Payment Plans, Free Shipping, Free Extended Warranty & 45 Day Money Back Guarantee. 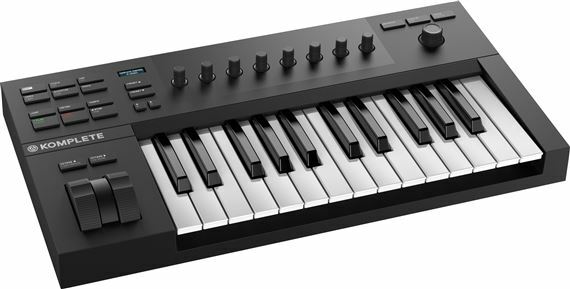 The Komplete Kontrol A25 controller from Native Instruments is a great way to get hands-on with all of your instruments and effects! Find, tweak, and capture your sounds, perform on a best-in-class keybed, and express yourself with the included collection of pro-grade instruments. Perfect for getting started with maschine costing under $200. I purchased to go along with travel setup and it gets the job done. Once I figure out how to transpose I’d give 5 stars haha! My favorite feature is the keys are full size keys and not slimmed down since its the smaller model. Works great with the software easy to use.